Click on the image above and check out my blog! Editor-in-chief, Azhmir Acosta, discusses the steps of producing the student newspaper. The student based staff holds weekly meetings in order to ensure that story and photo assignment meetings are scheduled in order for students to become involved. 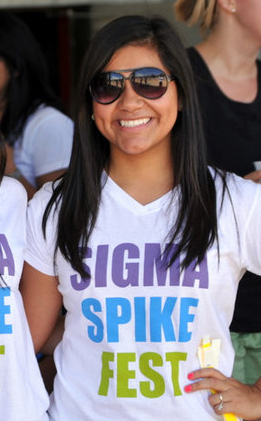 Gabriela Hernandez is a senior criminal justice major at St. Mary’s University. She learned how to cook through her culinary arts teacher in high school and her sister. She enjoys cooking for her family and friends. Tarek Vaughters-Haywood is a student who transferred from St. Mary’s University to UTSA. He balances school with training in the fire fighter department while managing his photography company, Just Reflect. His dedication and commitment lead to the growing success of his company. Vaughters-Haywoods enjoys having a busy schedule because it prepares him for the future. Locating life and beauty within a student’s dorm. A Yamaha guitar and ukulele found in next to a student’s desk, both are used on a daily basis for practice. The instruments bring life to the college dorm throughout the day. A close up of a student’s collection of jewelry on a Forever 21 jewelry stand. A variety of items that define a student’s interest and personality – glamour, Hollywood, class, religion and beauty. Spring is near and a student set flowers in her dorm as a reminder of the sunny days that are about to approach. Jewels and pearls define a woman’s need to be glamorous before a night out in the town. Esther Leal, junior Music major, shares her reasons why practice is perfect. The multi-talented junior reveals that practice can be done anytime of the day and how it can be done just for fun. A WordPress site where you will find the journey of an undergraduate student. It will be filled with blog entries, samples of her work, and the experiences encounters. Audio 1 Analysis: Patience is a virtue.